Sydney Tree Felling is a family owned Australian business based in Sydney; operating for more than 22 years providing Tree Services within domestic and commercial environments. The business has been established in order to maintain very high standards of tree care; everyone in the team takes an active part in the management of the business. This enables a unique flexibility to deal efficiently with both large and small jobs by combining experience, expertise, and resources to match your needs. 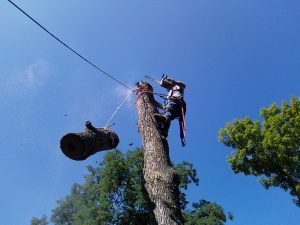 Sydney Tree Felling staff is always happy to discuss a range of options with clients and based on this we provide a written quotation detailing all works and costs involved. This is a firm price with no hidden extras and is guaranteed for six months. Our Tree services and maintenance includes; tree felling Sydney, tree pruning, tree trimming, re-shaping, dead wooding, land clearing, stump removal, weeding, gardening, landscaping, gutter cleaning and rubbish removal. We can also provide you with organic mulch and wood chips. If you want to keep some of the logs as firewood, we can arrange for that as well. 24hr call Out Service is also available in the event of a fallen or hazardous tree, so please contact us and we will respond as soon as possible. These situations will always be treated with priority. To discuss your tree service requirements, please contact us by email or call us on 0415 33 50 30. Sydney Tree Felling services include all aspects of tree care from pruning and maintenance works to the removal of trees and stumps of all sizes small or large. For a free no obligation quote, please send us an email or call us on 0415 33 50 30. Sydney Tree Felling services are dedicated to maintaining a high level of safety standard while conducting tree works at any given time. Rest assured we can take care of your job with peace of mind. We live and breathe trees and have built up a reputation for reliability and conscientiousness, and are known for our high-quality Sydney tree services. We are a well-established business with a very strong reputation. We have personal and property damage insurance as well as workers compensation insurance that we supply on demand to any customer that requests. Many homeowners have had to pay out large amounts of money for damages caused by an uninsured individual claiming to be a tree expert. We are truly committed to providing our customers with reliable service and quality tree care. 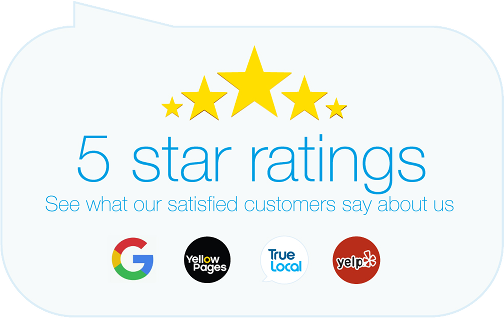 We got a quote from Sydney Tree Felling to do tree removal on our property, not only was it the best price the service was fast and very friendly. The team members were courteous in their attention to our needs in caring for the property. Thanks Alan! We were very pleased with the excellent job Alan and the crew did pruning our trees. The team was efficient, thorough and professional. Friends and family have complimented us on how nice the trees look, and the improvement to our property. Thank you Sydney Tree Felling for the great job!